© Images and information belong to Verdijk Maritiem Site by MJP FOR SALE: Patrol / Crew / Multifunctional Vessel - Stormmeeuw Technical specifications: General Auxiliary Built 2003 Generators 2 x Cummins 6BT5,9-D(M) Type of vessel Patrol/Survey/Crew/Multifunctional Capacity 2 x 97 KW (built 2011) Class Lloyd’s Register Emergency generator 100A1 SSC, Patrol, Mono, HSC, 1 x Hatz 3L41C G2, LMC UMS. 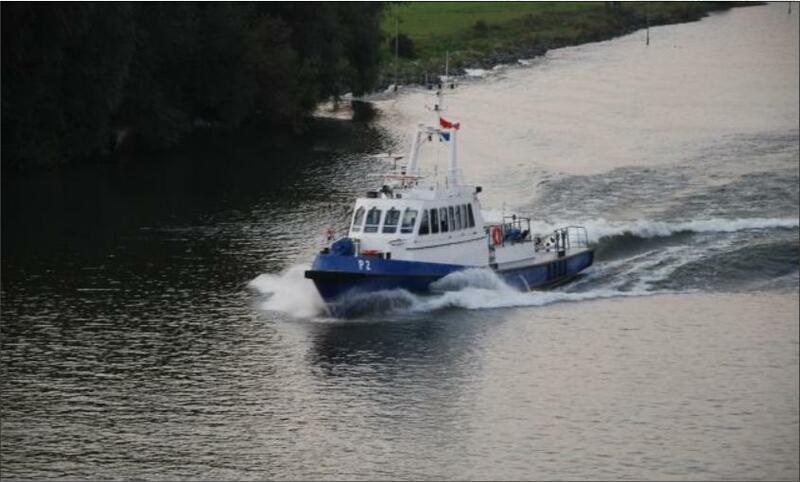 Valid until April 2018 Capacity 1 x 23 KW Register The Netherlands Material Steel Hull / Aluminium Superstructure Speed 18-20 knots Tank capacities IMO 9257292 Fuel oil 9.350 L Fresh water 3.560 L Lub oil 450 L Dimensions Dirty oil 450 L Length overall 34.30 mtr Bilge water 1.910 L Beam overall 7.20 mtr Sewage 1.380 L Depth 1.60 mtr Gross Tonnage 197 Safety equipment Life raft 4 x 16 Pers. 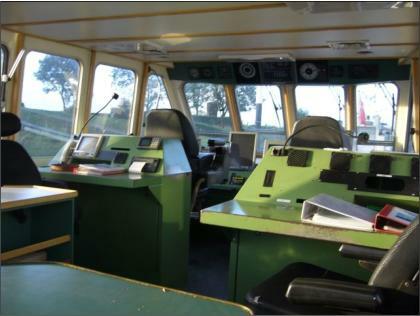 Propuision system Life jackets 16 Main engines 2 x Caterpillar 3412E TTA Immersion suits 10 Output 2 x 932 KW / Total 2536 BHP Epirb Gearboxes Reintjes Type WVS 430/1M Sart Propuision diameter 2 x 1.10 mtr / 2 x 5 Blade prop. Firefighting syst. 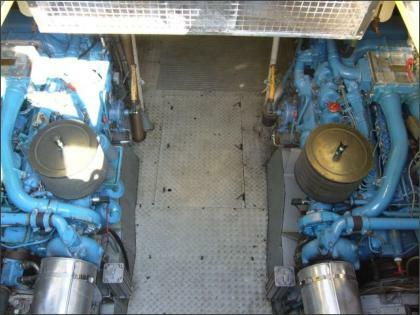 engine room FM200 Bow thruster 2 x 44 KW / electric hydraulic Firefighting hose 3 x with connections on deck Firefighting pump 2 x Sterling SIHI E: info@verdijkmaritiem.nl More info on e-mail request.